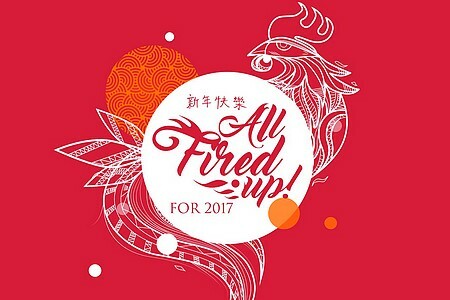 With the Fire Rooster as the symbol of triumph and awakening, join Shangri-La at the Fort in ringing in the New Year that promises propserity and success. Reunite with the family over a Chinese New Year's Eve celebration on January 27, featuring concessionaire booths, musical entertainment, lion-dotting ceremony, and a lion dance at One Bonifacio High Street Park. On January 28, 11 a.m., the lion-dotting ceremony and dance continue inside the hotel. For more information, log on to Shangri-La at the Fort's Facebook page.